The latest edition of International Wrocław Events takes place at 7pm tonight in Barbara. For those not familiar with the events, the main aim is to create a fun environment in which to develop better relations and understanding between the various communities living in Wrocław. Entrance is always free. 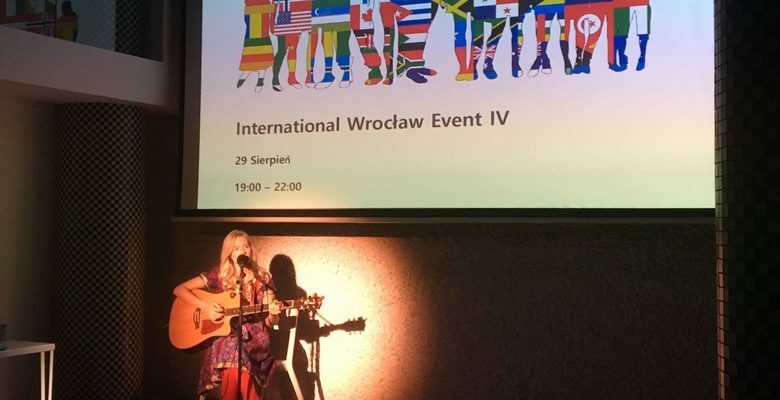 The first such event, which featured contributions from Radio Ram’s Terence Clark-Ward and Jewish singer-songwriter Bente Kahan, was held at Recepcja earlier in May. June’s gathering included music from New Zealander Sam Alty and stand-up from Syrian Ehssan Chamiey. In July musician George Dyer and vlogger ‘Dave z Ameryki’ also participated. We all know that Wrocław is a city with a rich cultural offering of concerts, performances, arts & crafts, festivals and so on. The city is developing well and not only attracting a growing number of tourists, but also foreigners choosing to live and work or study here – people who now consider Wrocław their home. By doing so, the international community are also having an impact on the local culture. Wrocław is becoming a more multicultural city – a place we all share regardless of where we come from and what we look like. In order to highlight the existence of the foreign contingent in the city, and its integration into Polish society, we’ve decided to set up a series of ‘International Wrocław’ events. 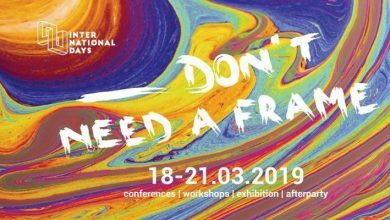 These events set out to integrate and present the variety of cultures in Wrocław via a series of talks, discussions, fun & games, live music and other forms of entertainment. The events are to take place monthly at a different location within the city and are always free to attend. The idea is to encourage Poles and foreigners to come together and learn as much about each other as possible. 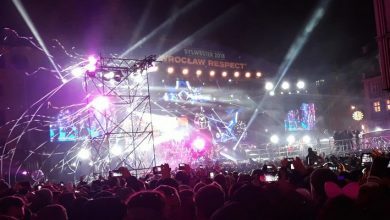 This will be done using a variety of means, whether it be sharing opinions, co-educating, advising or enjoying entertainment produced by Poles and foreigners. The events are supported by Wrocław City Council as they share our belief that by working together and spending time in a fun, positive environment, we can tackle a lot of issues. Such gatherings also provide a platform for us to discuss controversial matters such as racism, multiculturalism and nationalism, in turn helping us better understand modern day Wrocław. The theme for tonight’s gathering is languages; multi-linguist Nidal Jaadanov of Morocco will do a presentation on world accents, while a number of other presentations covering Polish, English and Ukrainian are also planned. Well-known street musician Philp Fairweather will perform live and refreshments will be provided by Alyki. On top of that they’ll be rap music and stand up comedy – both performed by artists from Syria.